One of the ways I cope with being self-employed and working at home is to take a true weekend. I don't do Filly on Saturday or Sunday. Today I worked in the garden decapitating disintegrating zinnia stocks. I am saving seeds of particularly beautiful varieties for when I become a zinnia farmer. 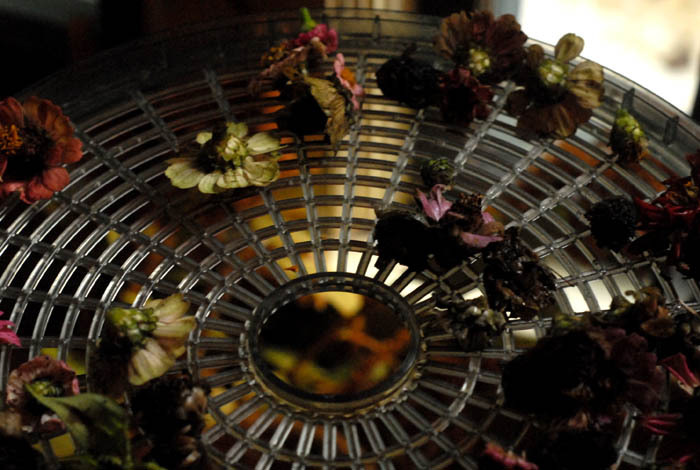 The dehydrator is perfect for drying out the rain-soaked blossoms.